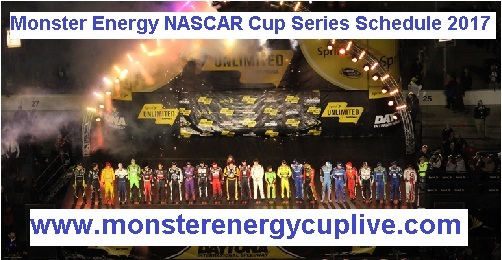 The Monster Energy NASCAR Cup Series 2017 schedule has been released by NASCAR, it is a 69th professional stock car racing event in the USA and forty six modern era cup series. The Monster Energy NASCAR Cup Series fixture first race will be begin at the biggest venue Daytona International Speedway and the race name will be Advance Auto Parts Clash, after these two Can-Am Duel qualifying races will be held in which selective drivers will qualify for the Daytona 500 race as it is also taking place on the same place Daytona International Speedway.2017 Monster Energy NASCAR Cup Series final race will be played on the Homestead-Miami Speedway as the Ford EcoBoost 400. The 7 times defending champion Jimmie Johnson also play in this competition. It is 3rd time these all NASCAR races will be live broadcast by NBC Sports and Fox Sports.